Do hope you are enjoying the cooler mornings and being able to finish your training reasonably dry instead of dripping wet. Makes for a very welcome change and lots of pbs! We had our annual dinner and presentations to award winners (listed below) take place over the weekend. 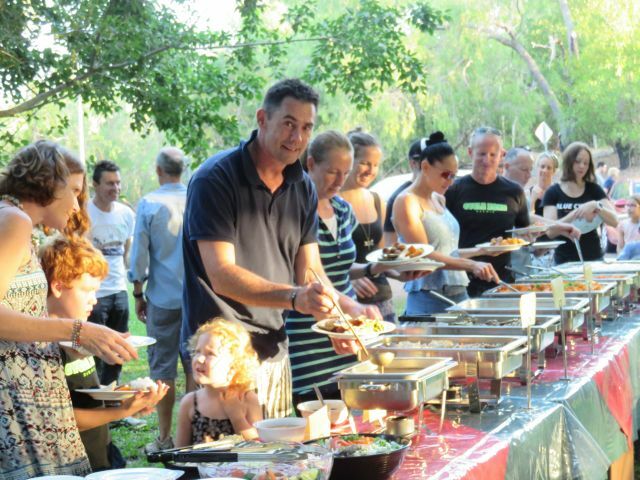 A big shout out to Cycle Zone Darwin, Cannibal, Gallery Two Six, and AMart Allsports for their support of our various awards and of course, to Belinda Townend for organising the fabulous catering again this year. There is definitely lots on, in and around Darwin, and our time management skills are being put to the test right now. On the triathlon front we have our first Open Water Triathlon for season 2015|2016 happening this Sunday at the stunning Casuarina Beach location. If you haven't yet participated at one of our very popular Open Water Triathlons, guarantee you are in for a treat this weekend. 1. We are trialling a late entry system with this event. 2. Obviously we want to encourage all our members to have their entry in place by 8pm Friday but as you the members occasionally ask for late entry, we are going to test to see if we are able to accommodate that. 3. Friday 8pm closure will allow committee & event volunteers to know a good estimate of how many racks are required to be transported, catering numbers for post race refreshments, timing requirements & assists with general event planning. 4. Thanks for getting your entry in at the early bird price before 8pm this Friday. Heck, why not do it now so you don't forget!! 1. It is that time of year when we strongly encourage all members to volunteer at an upcoming event as a way to "give back" to the sport we all love. 2. Volunteering is a great way to meet fellow members and to gain a different perspective of events by stepping outside the lines for a few hours. 3. Those volunteering are an invaluable part of the success of our events and without whom our events are unable to be held. 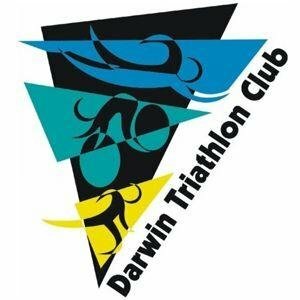 Events Calendar and email darwintriclub@gmail.com with your preference of dates & positions for one of our 2015|2016 events on the list. 2. Ask to join the page to see the swim, bike, run bargains posted there. 1. Roger Decurtins lines up for Ironman Switzerland this weekend. Good luck! 2. At a recent NT Volunteer of the Year function our president Tony Cox missed being presented with his Certificate of Appreciation. It was great that we were able to surprise him & present it on Saturday. Tony was nominated in appreciation for all the behind the scenes work he does to ensure our events are sanctioned, correct permits are in place and of course, the tireless effort he puts in on so many race days. Thanks again Tony! 7. Congratulations to Jo & Scott Hanrahan who tied the knot at the weekend. 8. One of our members had a green & yellow "Feel Free" sit-on-top kayak and a yellow stand-up paddle board (both with a distinctive Polynesian design) & a white paddle stolen from her backyard. Please keep an eye out. Any info appreciated.